to be mailed to you. The Saskatchewan Music Festival Association (established in 1908) is committed to promoting excellence in music and speech arts by providing performance and educational opportunities through competitive music festivals in the Province of Saskatchewan. In addition to the production of 47 district music festivals, SMFA provides a provincial Syllabus, entrance to the annual Provincial Competitions, Concerto Competition and Opera Competition, as well as the National Level of Music Festival competition. Member festivals are organized by local volunteers and judged by qualified professional musicians. Areas of competition for musicians include: voice, piano, guitar, strings, woodwind, brass, percussion, pipe and electronic organ, choir/school music including special education, multicultural, speech arts (individual verse and speech therapy classes, storytelling), small ensembles, as well as band and orchestral classes. Entrance to SMFA festivals is accessible to all ages, all ethnic groups and people of all religions across the province. Participants may enter any classes for “adjudication only” and forego marks and scholarships. 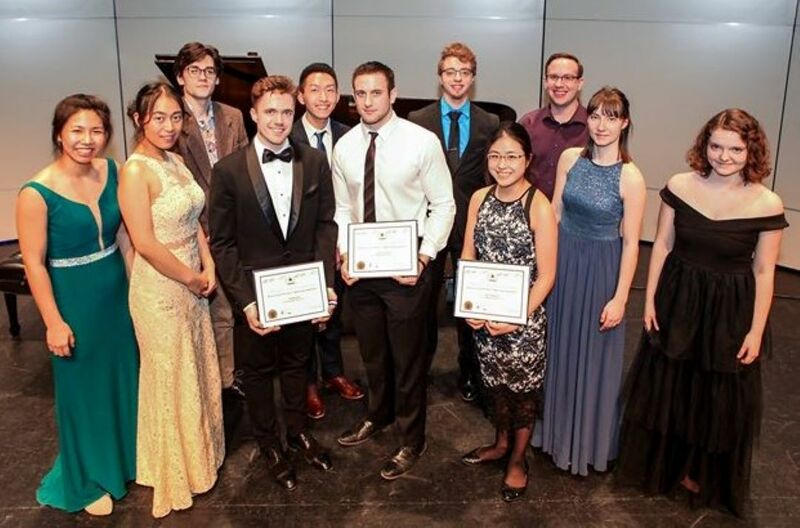 SMFA hires over 170 qualified professional musicians to serve as adjudicators each year. sask.music.festival@sasktel.net. Thank you for supporting the 2019 National Music Festival and District Festivals in Saskatchewan! 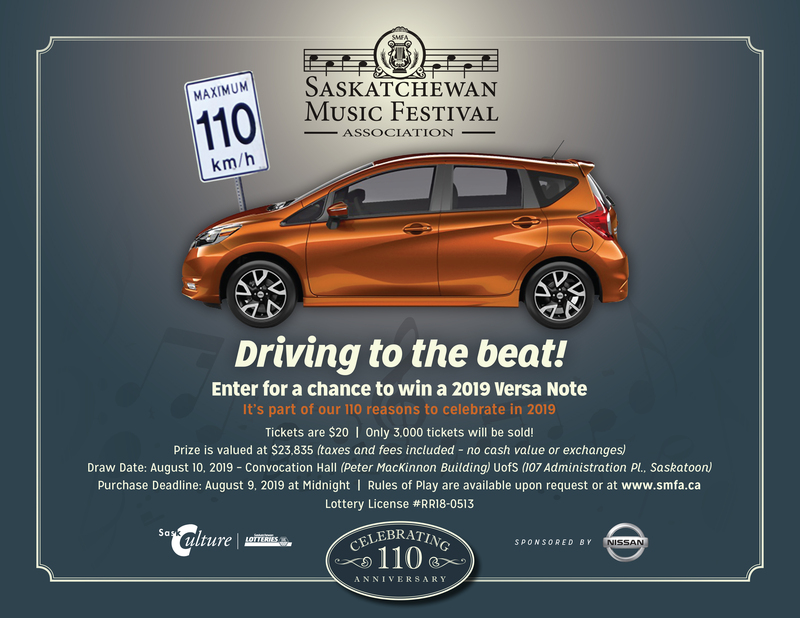 In celebration of the 110th Anniversary of SMFA in 2019, we gratefully accept donations which enable us to continue to deliver our mission of promoting musical excellence in Saskatchewan. Please consider a donation of $110, or an amount of your choice. Charitable tax receipts will be issued for all donations. receives funding from the SK Lotteries Trust Fund for Sport,Culture and Recreation.